I had 300,000 credits and didn't know what to do with it. Upgrading guns seemed pointless (the bars barely budge in the stats readouts) and clicking on stuff in a menu with little visual change or feedback was unsatisfying. Seems like the gun upgrades were a last minute feature that could've used another GUI design pass. Functionally, all squadmates seem pretty much the same (1 crowd-control ability, 1 buff, 1 debuff) except Liara who has significantly less health. It doesn't really matter who you bring, which I somewhat liked, because that meant squad choice was based on narrative and characterization instead. My Shepard had a "biotic charge" ability that lets her fly across rooms through cover, tackle enemies, and completely recharge her shields; combined with other bonuses, the cooldown period becomes negligible even early on. I didn't feel particularly smart when I figured out how overpowered this ability was -- I felt like the balance was broken. Well, I don't think anyone plays Mass Effect for the gunplay anyway. It serves an aesthetic purpose: to make you feel like you're fighting in battles. What baffles me is spending time developing a multiplayer game that capitalizes on the weakest, least interesting part of the series? Again, I chose a LadyShep who decided to romance her secretary. From watching the YouTubes though, the GayMaleShep stuff seems pretty well done and even a little cute. (see above) I wish I had had the faith to stick it out with a MaleShep through the entire trilogy, but the male voice actor is just so much worse. Some weird player to player-character dissonance when my Shepard always confesses how much she misses Ashley, when I'm wondering, "Ashley who?" They kept all the core design from Mass Effect 2 and instead pooled all their resources into art, which I think was a smart move: there's a lot of variety to the levels, and the abundance of scripted animations turned stale conversations in a hallway into "getting dinner" or "going out to the bar" -- functionally, nothing is really different, but the new narrative context does wonders. When the characters aren't blathering on about the price of war to the point of parody, there's some genuinely good writing and characterization going on -- well, Garrus and Liara mostly. The "military stud squadmate" NPCs (Kaidan, Jacob, and the new unexplained mildly hispanic guy) are still awfully boring characters with amazing normal maps on their pecs. I guess Alistair really was the anomaly in a milquetoast lineage of Carths. I like how RPGs always have the "endgame" moment; a character literally tells you that the endgame is beginning, all side quests will be disabled, and you must confirm whether you're ready. It kind of breaks the fourth wall (assuming you really care about that) but at the same time you appreciate the game signaling itself to you. It's such a uniquely game-y thing to be able to read and understand what the game is actually saying beneath the thin narrative skin. Run, don't walk, to your nearest electro-computer-device and play MirrorMoon. 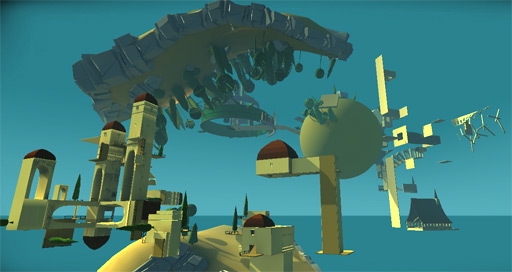 It was a Global Game Jam 2012 project / recent contestant at this last GDC's Experimental Gameplay Workshop, and stupid ol' me had never heard of it before then. The FPS controls are somewhat non-standard, but it's for an important reason, and the deviation is handled pretty gracefully. Otherwise, the sounds, the colors, the scope of the level design -- everything is perfect. So so so perfect; part of the GGJ team included the man behind first person runner Fotonica, and it shows in the bold visual design. It's a really solid first person experience that'll improve your day. What games can learn from Sleep No More (part 1): the death of environmental storytelling. Part 1 contains VAGUE SPOILERS, as if your friend had gone to Sleep No More and told you about it, or as if you had read a news article about it. 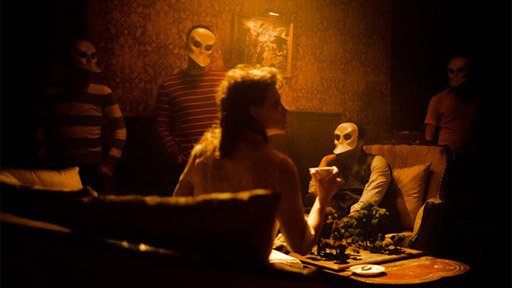 Although there have been many past theater productions that have done generally what it does, Sleep No More is what's going to be most prominent in history. It's basically a 5 floor tall, 100 room haunted house with dancers wordlessly performing a loose adaptation of Macbeth throughout the maze -- and you and everyone else are wearing masks, staring and shuffling silently through the halls. It transforms contemporary theater and dance into something relevant for people who'd otherwise see little value in it. I value it mostly for its interaction model and the ways it uses architecture in specific ways; it is what happens when outsiders use level design concepts better than video games ever have. First I'd like to debunk what I consider to be the "conventional reading" of it and its relevance to video games, as argued by game critics. 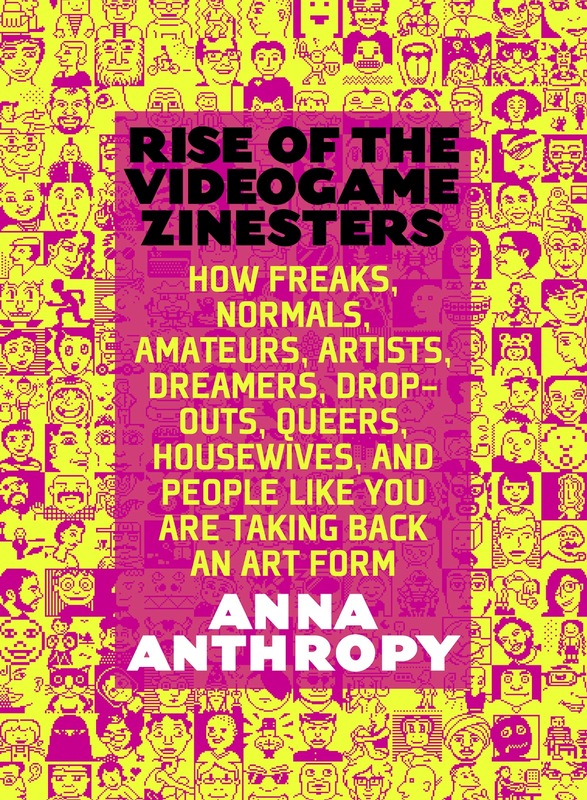 Anna Anthropy's new book "Rise of the Videogame Zinesters," sums up a lot of contemporary indie scene thinking and contextualizes it in history / current practice. 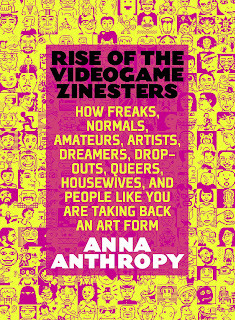 I'm impressed in the ways that it never talks down to the reader, but still worry that only "gamers" will deeply understand Anna's account of aesthetics when it gets down to the details of video games and meaning-making. But if I were ever to teach a liberal arts course on video games, this would definitely be on the reading list: I think it's a really great primer / manifesto for the growing "game design as pastime" school of indie thought. If you live in or near New York City, make sure you RSVP for the book release / talk at the NYU Game Center. The food is awesome, the environment is swanky, and I'm sure Frank Lantz will have some lovely questions for her. It's Thursday now, and I'm writing this in Moscone North on Thursday, the 4th day of the conference. There's some kind of podcast recording going on to my right ("One Life Left") and it looks important. People are eating $15 crepes behind me. The carpet is boring and inoffensive. People are making Blackberry Playbook jokes. So it goes. The past few days, I went to some Indie Game Summit / Education Summit talks and I've been to a few Game Design track talks. I found a lot of it redundant because I already follow all these people and their ideas; they've been blogging and tweeting and talking about it for the past year. Like, if you're a Doug Wilson super fan, you're already familiar with a lot of his theories and his recent body of work. And even if there's a little bit of new information, you can just read a Gamasutra write-up and get all the salient points in a few minutes instead of sitting there for an hour. It's making me reconsider how I'm "using" GDC. It makes me think I should only attend talks where I don't know the speaker or if I'm not familiar with the games already -- but that's risky too for obvious reasons. Some people here don't even go to the talks and they're just here to hang out, and I think that's probably the right way to approach things. I think next time I'm not going to shell out for the indie pass, and I'll just try to bum an expo pass off someone, or, if Buddha wills it, I'll have my own IGF passes to give out. In general, the indie / industry divide is kind of jarring. I'm not sure whether that's good or bad. 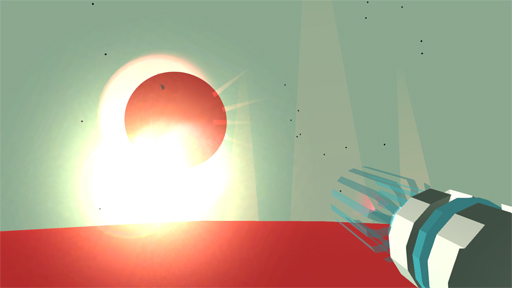 The IGF Awards and the Game Developer Choice Awards are back-to-back, hour-long events. After the IGF was over, I swear, at least 200-300 people left; many of them I recognized as mainly indie people. Actions speak for themselves... we seem to see the GDC awards as a largely irrelevant exercise. Indies don't need the permission or acceptance of the industry, though the awards that went to J.S. Joust and Sworcery show that it's there. This tension between indie and industry got played-out by the Mega64 skits that made light of indie uncertainty about corporate interests. It's okay to laugh, as long as we recognize why we're laughing -- the conflict is still very real. Corporate power can often help and empower indies, but often it belittles us with a reality show that implies the ultimate goal of being an indie is to join the industry, or it exploits us by signing a contract that robs the developer of their property, or maybe it even steals an idea wholesale and cross-markets it with their other cloned apps. Then you also hear success stories like Steam enabling Brendon Chung to sell 160,000 units of Atom Zombie Smasher, which is great, and that's a corporate industry-indie partnership. As we left the Venus Patrol / Wild Rumpus / One Life Left indie game party at Public Works, we passed a group of industry game developers leaving as well: "It's okay, we'll just never understand their indie ways." The party was pretty fun. Watching Bennett Foddy get trolled by his own game (Mega-GIRP) was entertaining. Eric Zimmerman tackling 10 people in a crazy J.S. Joust maneuver was awesome. Helping Anna Anthropy push the Oak-u-tron arcade cabinet onto the middle of the dance floor ("occupying the party") was pretty amazing. I am a little confused, though, as to why the Killscreen party tonight is at the same venue featuring many of the same games: I feel like it's going to be the same party. I wonder what the differences will be, if any. It does beg the question as to how "scene-y" the indie scene really is, that all of these various indie organizations share so many of the same members with power and we all know each other and play each others games over and over. But isn't it the nature of a community to define itself and exclude others? Again, I'm not sure how to interpret Brandon Boyer's face being projected on the walls -- is this fun and great that we're celebrating him, or is this a weird perverse cult of personality we're perpetuating? I honestly don't know. I'm still trying to figure it out. But I do know what I heard as we passed that group of industry devs walking home from the indie party. The one with the glasses half-chuckled and then said: "At least one of them shook my hand."